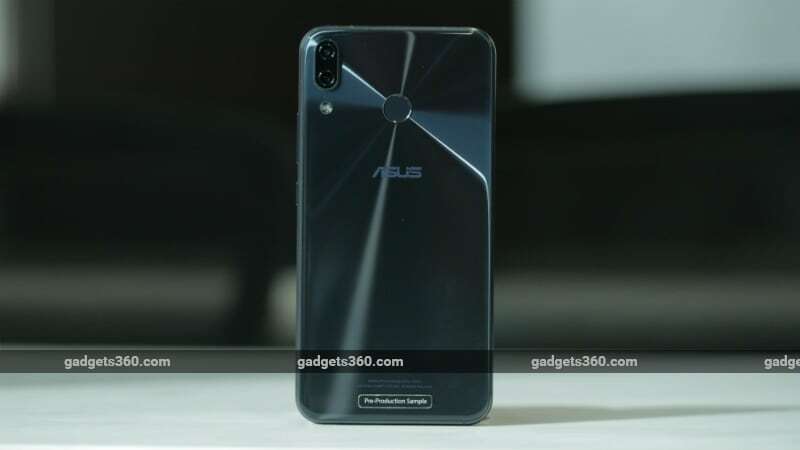 Asus has taken the wraps off its new ZenFone 5 smartphone range at MWC 2018, with devices that appeal to buyers at multiple price points. Right at the top of the lineup is the brand new ZenFone 5z, which has top-end hardware befitting a 2018 flagship, plus a notched screen that’s sure to be highly controversial. Then there’s also the new ZenFone 5 (2018), not to be confused with the four-year-old ZenFone 5, which was one of the company’s first smartphones in India. These two new phones mark a return to the high end market for Asus, after it decided to focus only on affordable selfie-centric smartphones in 2017. The ZenFone 5 (2018) exists because Asus knows that the notched screen has wide appeal, but not everyone will be able to afford flagship-class hardware. It’s physically identical to the ZenFone 5z but has significantly different hardware. Whether or not people think that the notched screen means that Asus is copying Apple just for the sake of it, the fact is that it allows for narrower borders and a 90 percent screen-to-body ratio, and the company knows that this is what’s hot in the market right now. The notch is narrower but seems taller than the one on the iPhone X so the “ears” are more pronounced. The screen aspect ratio is 19:9, so you can imagine it as an 18:9 screen with the extra little bit to account for the notch – you aren’t technically losing any screen space. There’s still a status bar that runs across the screen below the ears. Quite a few system status icons are shown on either side of the notch, but you can swipe downwards to see all your app notifications and everything else that spills over. The screen resolution works out to 1080×2246 pixels, and apps can still stretch out the way they would on an 18:9 screen. There will be options to allow apps to run without the ears getting in the way, unlike Apple’s demand that apps embrace it. The screen supports the full DCI-P3 colour space and Asus uses artificial intelligence to automatically adjust brightness as well as colour temperature (which is another Apple-inspired idea). We’ll have both the ZenFone 5 and 5z in for review as soon as they are launched in India, so stay tuned for detailed information about how apps work with the notch, how easy or difficult it is to live with, and whether this is just a gimmick or genuinely adds something to the smartphone experience. The screen measures 6.2 inches but Asus claims that the phone is smaller than many models with 5.5-inch screens. That makes both the ZenFone 5 (2018) and ZenFone 5z easy to hold and use. Because Android doesn’t natively support the notch (yet), Asus does all the work itself through modifications to the custom ZenUI skin. There are tweaks to make one-handed operation easy, such as being able to swipe down anywhere on the home screen to pull down the notifications shade. The ZenFone 5 and 5z have extremely glossy exteriors that pick up smudges constantly, but thankfully they aren’t too slippery. Both will be available in the same two colours – Midnight Blue and Meteor Silver. The build quality also feels worthy of flagship models, which means that the ZenFone 5 could be particularly appealing in its price band. The positioning of the two cameras on the rear is yet another element that might seem awfully familiar. Unlike Apple though, Asus has retained a fingerprint sensor which is also on the rear. One of the cameras has a 12-megapixel Sony IMX363 sensor and f/1.8 aperture, while the second one has an 8-megapixel sensor and 120-degree wide field of view. Optical image stabilisation is supported, and 4K video recording goes up to 60fps. AI comes into play with the cameras again – the ZenFone 5 and ZenFone 5z will be able to detect 16 kinds of scenes and adjust parameters including colour saturation, white balance, and exposure time. There’s a pro mode with lots of options to play with, and portrait mode as well. Where the two models differ is in terms of their specifications. The new Zenfone 5 is built around the Qualcomm Snapdragon 636 mobile platform and will have 4GB or 6GB of RAM with 64GB or 128GB of storage depending on what the company launches in different parts of the world. On the other hand, the Zenfone 5z uses Qualcomm’s new flagship Snapdragon 845 processor and will ship with up to 8GB of RAM and 256GB of storage. Both phones have 3300mAh batteries, DTS Headphone:X audio enhancement, multiple microphones for noise reduction, and all the latest connectivity standards. Both have hybrid dual-SIM slots and according to Asus, VoLTE can be active on two SIMs at a time. Disclosure: Asus sponsored the correspondent’s flights and hotel for the launch event in Barcelona.